Please note that the content of this book primarily consists of articles available from Wikipedia or other free sources online. 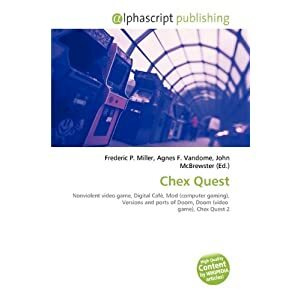 Chex Quest is a child-friendly non-violent first-person shooter video game, created by Digital Café. It is a total conversion of the more violent video game Doom (specifically the Ultimate Doom version of the game). Chex Quest, notable for being the first video game ever to be included in cereal boxes as a prize, was found in boxes of Chex cereal in 1996. Get a print version of Wikipedia articles, for $48. 48$ for a printed version of a Wikipedia article? These Alphascript Publishing people sound really cheep. Also I thought this post was a spambot's doing for a minute. 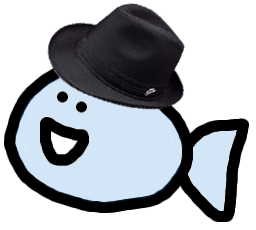 After I posted it, I was thinking that people may think my account was hijacked, because of how I presented it. I should have added some sort of commentary at the end of it. What kind of business scheme is this? I'd understand if it was a Masters of Doom-esque journal of the development phase (heck, I'd even buy it), but dang. That's just low.